Not farmers – For the fainthearted . . . In rural Ireland, talk in February would be of calving and lambing, the month would be a time of intense busyness for farmers whose dairy herds had been dried off over the winter and who would begin the twice daily milking again as calves were taken from cows at a day old. 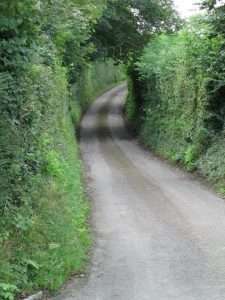 In rural England, it is notably different.The village is so rural that it has no street lights, the surrounding landscape is entirely agricultural, but farming hardly features in the conversation. To talk about the price per litre of milk or ratio of lambs to ewes would invite a mystified response. The village has an abundance of beautiful farmhouses, places of picture postcard quality, except they have been unconnected with farms for forty or fifty years or more. As small farms became unviable in the post-war years, the fields were bought by farmers wishing to increase their landholding and the houses, sometimes with a few acres of garden or paddock, were bought by middle class business or professional people. There is no shortage of young families, the village primary school that had forty pupils in the early-1970s now has one hundred and eighty children on its rollbook, but few of them will ever go on to milk cows, herd sheep, or drive a tractor. In Ireland, the agri-food sector accounts for 5.7% of the GDP, with the primary sectors of farming, fishing and forestry accounting for for a third of that figure, or 1.8% of GDP. It is a small fraction of the contribution that agriculture once made, yet the farming lobby remains a powerful voice. Perhaps it is a collective memory, perhaps it is rural culture, but there is not the disconnection from the land that is found in England. In the United Kingdom, agriculture accounts for 0.51% of GDP, and is not part of the consciousness of the overwhelming majority of people, even of those living in rural communities. It seems that people are more likely to know about farming from watching BBC’s Countryfile programme on a Sunday evening than they are from the activities in the field over the hedge. The disconnection has not been of great significance, but may become so. The government has suggested that after Brexit, the payments now received by farmers through the European Union Basic Payment scheme will be met by the British government – for five years. Inevitably, those payments will come under scrutiny and a sector that accounts for only 0.5% of the economy is going to struggle to retain its position as a recipient of massive state aid. Unprofitable farms are going to disappear and food prices are going to rise. 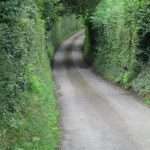 The business taking place on the other side of the hedgerow is going to face fundamental change, but one might wonder if those passing down the road will actually notice. Farms were being squeezed now. And the tools available, the subsidy, was being given to all. The truth about the those moneys was there compounding of the existing inequalities. If a 100 acre guy was getting the same per acre as the 1000. You’ll have noted that the makers of Tipperary Blue are extremely unusual in Ireland. Usually the local maker has vanished and the produce absorbed to the Agri CoOp’s or the beef factories. Where we could have small processors operating under a sort of Bord Failte we have seven of the worlds top food companies investing anyplace but Ireland. And the same is valid in England only not quite as dismal. But in France you see the real error of Agri Policy on these islands. There every little town has a plethora of micro manufacturers. You have the sheep’s cheese makers keeping the family and maybe a second or even a third in a good income. Nor will the removal of the subsidy rise food prices. The UK will simply import what it needs. The 1957 Treaty of Rome envisaged a Common Agricultural Policy that ensured food security and sustained communities by keeping people on the land. The aspirations were squeezed out by powerful farming lobbies in the UK and Ireland – the richest farmers claiming a massive share of the payments. Without the Basic Payment, farming will only be sustainable by substantial price rises. I’m sorry but that’s untrue. If the Payments was confined to low acreage and marginal land then there might be a leveling of the market and food prices might be kept low. But as it stands the payment compounds the inequality. Put simply, if the payment is €£100 per acre the person with 100 gets 10,000, the one with a 1000 will get 100,000. And there is little evidence that food prices would rise in a general sense. It is far more likely that they would fall to world prices. Nor does it stand that food in the EU is safer than from outside. Nowadays with testing we can tell what the cow had for dinner. Note how many countries blocked Irish beef, in theory the safest in the world. To add, farms ‘with’ the payment aren’t sustainable. For the most part it’s prolonging an agony where the small guy is forced to compete in a market rigged to force him into losing with the larger farmer gifted the money to eventually but him out. I assume you’ll have noted the difference is almost double in what constitutes an economic unit in the South West of England and that of the area you know in Ireland. 300 acres in Ireland would be seen as a safe bet, in England not so much.